The National Government of South Africa is comprised of Parliament, Cabinet and various Departments. These components carry out functions as outlined in the Constitution and in legislation enacted by Parliament. The Departments that make up the national administration are charged with implementing legislation and providing services to the public. 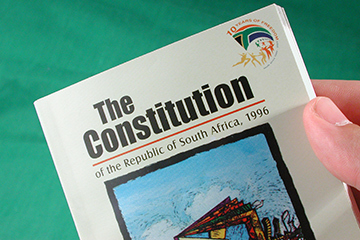 The Constitution of the Republic of South Africa, 1996 (Act 108 of 1996) came into effect on 4 February 1997. This is the highest law in South Africa and no other law or government action can overrule the Constitution or be in conflict with it. South Africa's Constitution is one of the most progressive in the world and is based on the values of dignity, equality and freedom. Chapter 2 of the Constitution contains the Bill of Rights. Constitution. 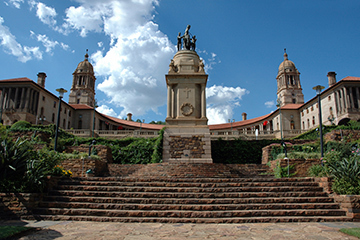 It consists of two parts, the National Assembly and the National Council of Provinces (NCOP). 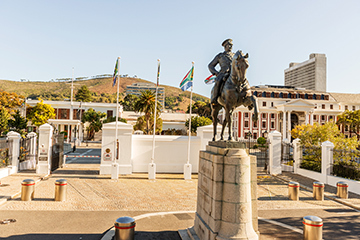 The National Assembly consists of 400 elected representatives who meet at the Houses of Parliament in Cape Town, to debate issues and create legislation. The National Council of Provinces consists of 54 permanent members and 36 special delegates representing the nine provinces. The NCOP represents provincial interests in the national sphere of government. The executive arm of national government is headed up by the Cabinet which consists of the President, the Deputy President and various Ministers appointed by the President from the National Assembly. The President also determines which functions each of the Ministers will perform. South Africa consists of 1 219 090 km² at the southern-most tip of Africa. There is a population of approximately 51.8 million people (Statistics South Africa, Census 2011). 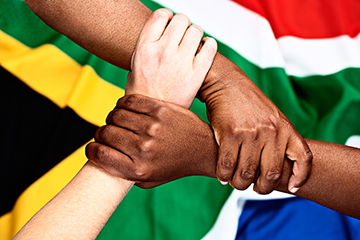 South Africa is characterised by the diversity of its people in terms of race, culture and religion. This is reflected in the 11 national languages protected by the South African Constitution. For more information on South Africa, consult the South Africa Yearbook. A national Coat of Arms, or state emblem, is the highest visual symbol of the State. The Coat of Arms is also a central part of the Great Seal, traditionally considered to be the highest emblem of the State. Absolute authority is given to every document with an impression of the Great Seal on it, which means it has been approved by the President of South Africa. Read more about the National Coat of Arms and what it represents.